My dad and I always used to build stuff when I was growing up. We built derby cars, closet shelves, and wooden fences. We even finished our basement. One of the first things he ever taught me was that there’s a right tool for every job. The same is true for building your online business. Fortunately, entrepreneurs have built tons of tools to help entrepreneurs like you and me. 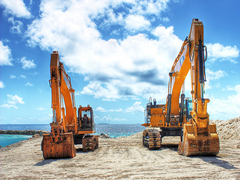 Here are ten entrepreneurial tools I use on a daily basis in the order I use them. The first thing I do in the morning is wake up, stumble downstairs, get on my computer, and open up Google Chrome. Based on my scientific experiment, Chrome (1.205s) loads almost twice as fast as Firefox (2.214s) and Internet Explorer (2.542s). Plus, it’s sleek and professional. I’m using Chris Delbuck’s theme. When I open Chrome, it automatically opens my Gmail. 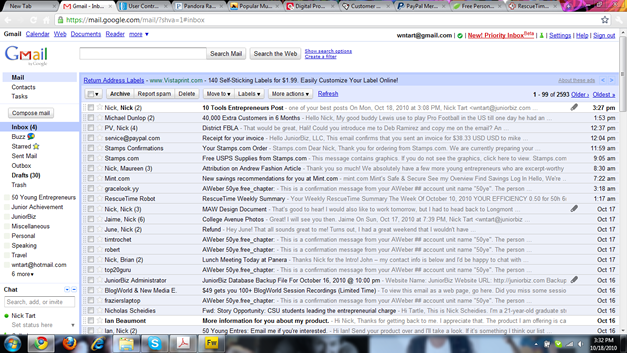 Not using Gmail from the outset was one of my bigger mistakes as an entrepreneur. One of Gmail’s coolest features is that they let you send emails through the email address associated with your website. Now, all of my emails appear to be coming from wntart@juniorbiz.com when I never actually use that crummy, bulky, email dashboard. Aweber is what I use for the Start a Business and Make a Website courses. When someone signs up, they automatically get the emails for those courses on the days I specify. This way, I can offer these courses to anyone no matter when they sign-up. 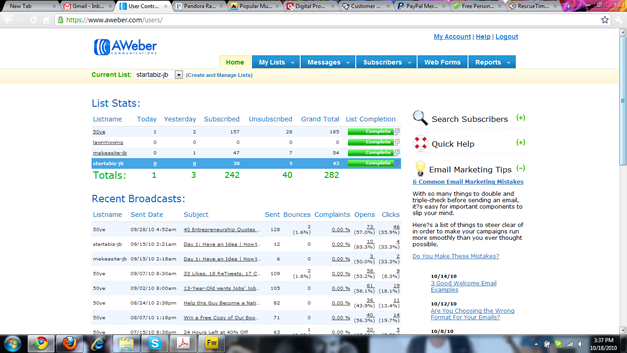 It also lets me manage and analyze all of our subscribers and email campaigns. 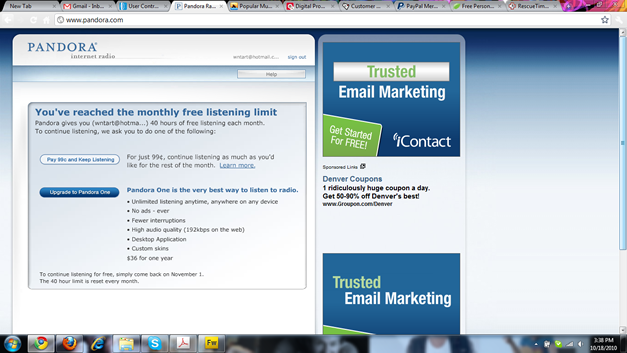 Ooh, how I strongly like Pandora. They let me play all of my favorite music for free up to 40 hours/month. I usually hit the 40-hour mark about ten days in. After that, it’s only 99¢ for unlimited playing for the rest of the month. I’ve been paying the 99¢ until Nick recently directed me to the next tool. Grooveshark is like Pandora except they let you play any song you want and it’s ad-free. Best of both worlds, right? You’d think. I still prefer Pandora because it’s easier to create a mix of music from all of my favorite artists and genres. But Grooveshark is a great alternative once you hit the 40-hour mark. Once my email is checked and my music is Taylor Swift-ing, I check my ClickBank account to see how many books we’ve sold. We use ClickBank to handle our book orders because it allows us to easily pay our affiliates who are promoting the book on their sites. 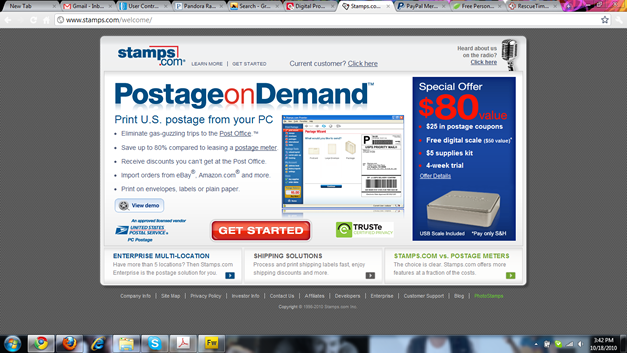 Before Stamps.com, I was spending a few hours per week running to the understaffed post office and standing in line. Since I found Stamps.com, I can print postage and ship the books from home. If you’re shipping physical products, you need to be using their service. They send you a free scale and free postage when you sign up. But it’s $15.99 per month to keep using their service after the first month. 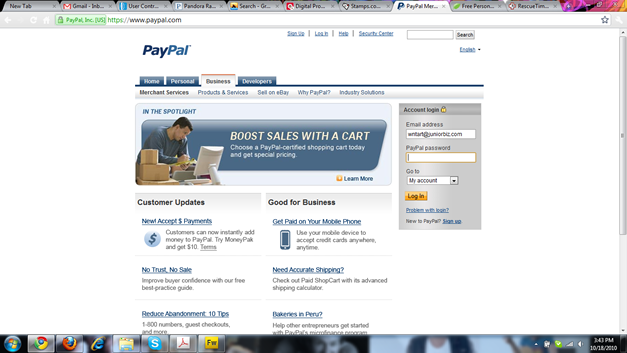 PayPal is what I use to do all of our invoicing. If someone has a special order or bulk discount, I can email them an itemized invoice that they can pay online. If it gets lost in their inbox, I can send a one-click reminder. When we get their payment, we deposit it directly into our business bank account. 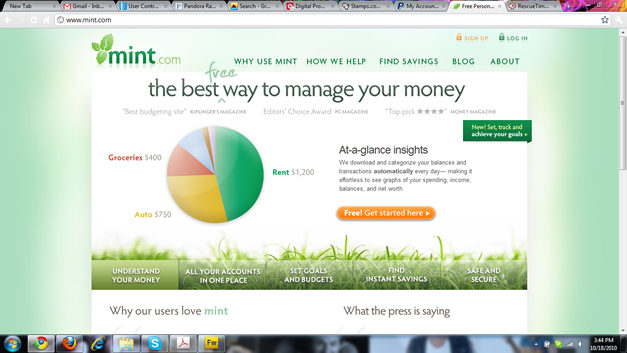 I started using Mint.com last week to track of all of my financial accounts. It’s awesome and it’s free. 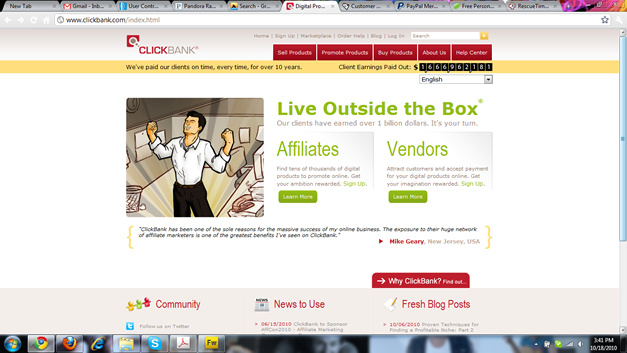 You create an account, add your bank accounts/credit cards, and set your budgets. Then they email/text you detailed reports with account balances and spending habits. Not to mention, a young entrepreneur started and sold it to Intuit for $170 million. I get distracted while I’m working, A LOT. Last week I spent 50 hours and 6 minutes on my computer. But, I wasted 4h 53m on Facebook, 1h 20m on Twitter and 5h 1m on email. That’s over ten hours of unproductive time (although one of those emails was from Forbes!). 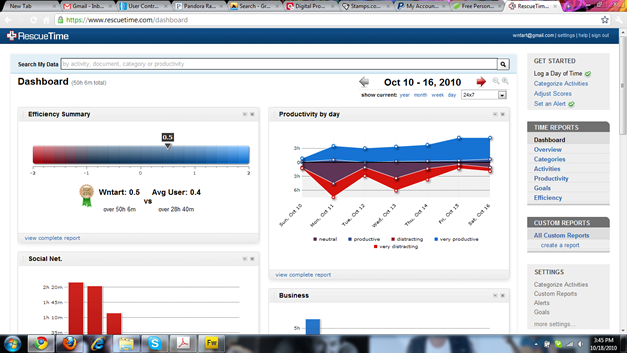 The reason I know these stats is because I started using RescueTime. It’s helpful and free! 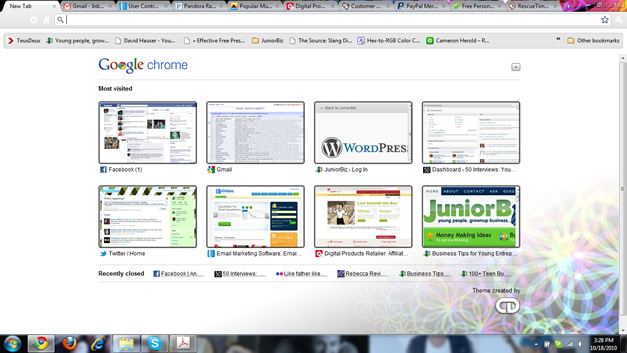 If you’re overwhelmed and want to start with one, use Chrome. It makes the internet a better place. Click here to start using Chrome now! If you’re already using Chrome and you want to boost your productivity, click here to start using RescueTime! If you’re using all of them, leave a comment below to tell me how awesome you are!